A mate and I are going to (hopefully) be hiking the north rim of the Grand Canyon in about 2 months, so figured it would be a good idea to start putting on some hiking miles. We did 4 miles as a warm up at our local trails at Dripping Springs. There are no springs, but there are some nice trails and views. You can get a sense of what its like from the photo. 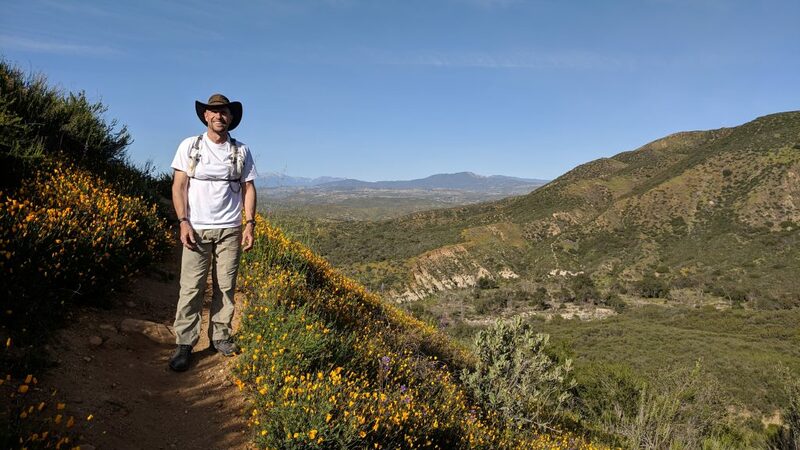 Lots of wild flowers this time of year, some great views and a nice single track trail. Anyway, a nice few hours out in the fresh air with a mate was welcome. 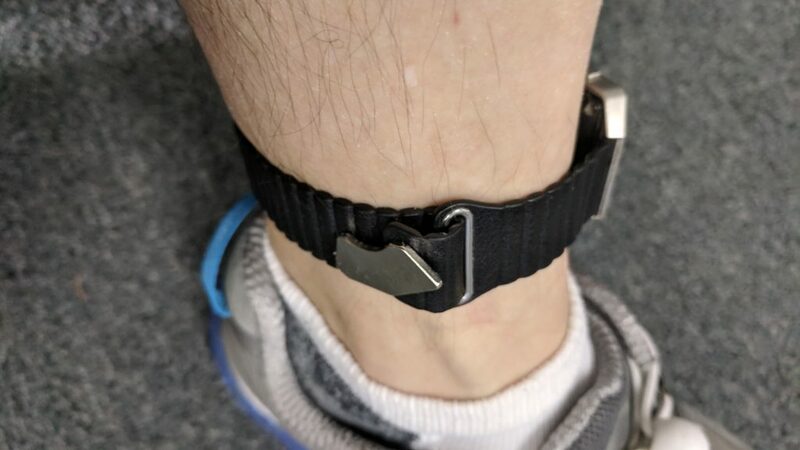 I have given up on the ankle tracker. Two reasons. 1 the old Fitbit was flaking out on me and not synching its data and 2 I had trouble getting good consistent heart rate data from my ankle. So, we have bought a new Fitbit against my better judgement and past history (I have had 4 of them break) with them. They just kill it on data presentation (their dashboard is super nice) and convenience. I got the Charge 3. Its small, light, good battery life, great data, solid synch and was cheap enough for me to afford to give them another chance. 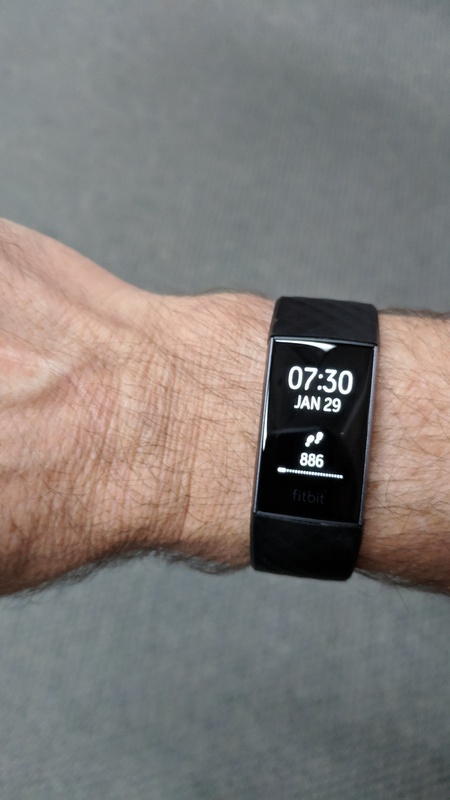 In case you are wondering, the Garmin has gone back to the left wrist and the Fitbit has gone on the right in place of the Android Smart Watch. For the past few days I have not missed the Android. Ah, the joys of being thebaldgeek. I want to keep track of my walking and resting heart rate and my ring/Garmin are just not cutting it. Freddy stopped using her (my) old Fitbit Blaze so I have started wearing it again. Because I have both the Garmin on my right and my Android Smart Watch on my left, the only spot is on my ankle. Of course ankles are fatter than wrists, so I have been challenged finding a band long enough to go around. The joys of being thebaldgeek. Well, that did not last long….. I had not even started ramping up my miles when I started to get some random pain in my knee. No idea at this stage whats going on, but it is bothering me enough that I can not even really walk much. Kneeing is out of the question. Hard to say if its even running related….. Anyway, I am taking some time off and we will see how it responds to rest. Yeah, major blow to the mental health score board for the year…..
All inspired by my failure to hit my 1000 miles for the year, plus digging into my mental health data shows I am happiest when I am fit and running, I am going to have yet another go at getting a marathon off my bucket list. Terry ran the numbers for me last night. To ramp the miles up each Sunday till 20 in 2 months I am going to add 2 miles to each run. Last week I did 8, so in a few days time, Sunday morning, I will knock out a 10 miler. Without a goal I feel sort of lost so we have set the goal of doing the marathon in March. Hopefully going back to run the Grand Canyon in April and then if my mate Lloyd gets the camping permit for May, we have 3 days hiking in the Canyon at that time (North Rim!!!!!). So, three realistic goals. If you first don’t succeed, try try try try again.